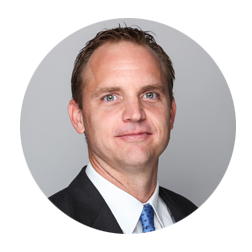 Joseph Morse co-founded Therigy in 2006 and, as Chief Executive Officer, he is responsible for stewarding the company’s overall vision, ensuring the Therigy team delivers exceptional service to its specialty pharmacy clients. Joe is also responsible for Therigy’s Pharmacy Consulting practice. Joe is a respected thought leader in the specialty pharmacy field. Prior to founding Therigy, he held the position of Vice President of Business and Corporate Development at the Aetna Specialty Pharmacy, which was a joint venture between Priority Healthcare and Aetna. He led that company’s pioneering efforts in the conceptual development, start-up, and initial market success of the Aetna Specialty Pharmacy. Previously, he served as Vice President of Business and Corporate Development with Priority Healthcare, where he was responsible for health plan business relationships. Joe began his career at Accenture, the world’s largest management and technology consulting firm, where he was a Manager in the Health Services Practice. Joe is a member of the National Association of Specialty Pharmacy's Board of Directors. He also serves on the Chapter Board of Trustees for the Leukemia & Lymphoma Society and the Editorial Advisory Board of the Pharmacy Times Health-System Edition. Joe received a BA in Economics from the University of Florida.